Ethiopia - Where We Work - International Health - John Snow, Inc.
JSI has been active in Ethiopia since 1994, when we began efforts to improve and increase access to family planning services through the USAID-funded Family Planning and Logistics Management (FPLM) Project. 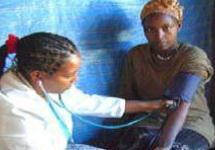 Since then, JSI has fully supported the Federal Ministry of Health and Regional Health Bureaus in their quest to improve the health of all people across Ethiopia. 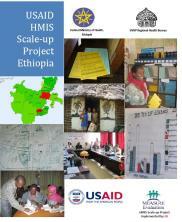 JSI was instrumental in assisting the government design its community health approach through the Health Extension Program (HEP) and train a large community health promoter cadre of over 252,000 volunteers (called the Health Development Army). 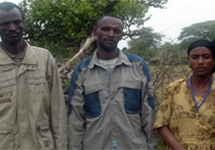 The Essential Services for Health in Ethiopia (ESHE) Projects, implemented from 1999-2008, introduced community health promoter initiative in a few sites of the Southern Nations, Nationalities and People’s Region (SNNPR) and the second phase of ESHE scaled up the approach to 115 districts in Ethiopia’s three largest regions. 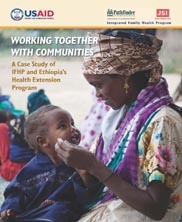 The current Integrated Family Health Project (IFHP) is the third USAID project phase that is expanding to reach to 280 districts in 4 regions. 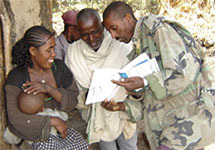 Also supporting Ethiopia’s community-based approach to improving health, the Last 10 Kilometers Project focuses on community health teams composed of health extension workers and the Health Development Army in an additional 115 districts, together reaching a total beneficiary population of 45 million people. 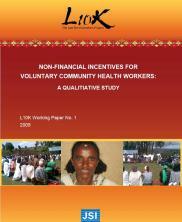 The community-based health extension approach used in Ethiopia was adapted from similar approaches first implemented by JSI in Madagascar through the Basic Support for Institutionalizing Child Survival (BASICS) I (1993-1998) and the Jereo Salama Isika Project (1998-2003). 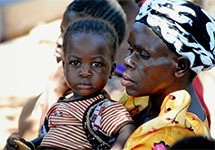 Since then, JSI has continued to support the Federal Ministry of Health through both rural and urban programs, extending its efforts to analyze, develop, and manage systems addressing a wide range of health issues including child survival, HIV prevention, immunization, obstetric, maternal, and neonatal care, and more. JSI has also been instrumental in the development of Ethiopia's health supply chain through the USAID | DELIVER PROJECT, which has worked with the Federal Ministry of Health, the Pharmaceuticals Fund and Supply Agency (PFSA), and Regional Health Bureaus (RHBs) since 2003. 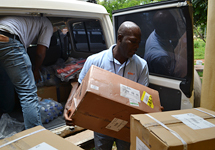 JSI has provided nationwide support to improve the availability of essential medicines, diagnostics, contraceptives, vaccines, and consumable supplies in public health facilities and improved supply of all public health commodities through the Integrated Pharmaceutical Logistics System (IPLS). 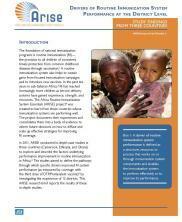 Ethiopia is at the forefront of innovation for immunization supply chain management; JSI is assisting PFSA and the FMOH to integrate vaccines, injection devices and related immunization commodities into the IPLS information and distribution systems. JSI has also been PFSA’s primary partner in developing and deploying a locally developed health commodity management information system (HCMIS) within PFSA’s network of distribution points across the country, and at over 500 large health facilities. In 2015, JSI supported Ethiopia to transition management of its vaccine supply chain from the Federal Ministry of Health to the Pharmaceutical Fund and Supply Agency, creating a new model for how vaccine moves through the system. The new model is monitored by an upgraded health commodities information system, which allows logisticians and program managers to view real-time date on stock levels at every point of the supply chain. Read more about the data-driven transition of Ethiopia's vaccine supply chain. 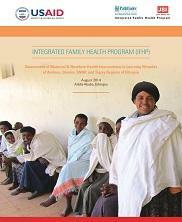 EDUP strengthens the collection and use of high-quality routine information to improve the quality, efficiency, and availability of Ethiopia's primary health and nutrition services. 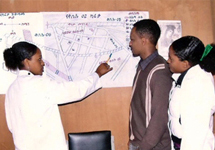 Urban Health Extension Professionals in the Oromia Region of Ethiopia are empowered by new tools and medications supplied to them by JSI's Urban Health Extension Program. 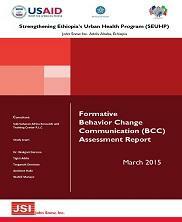 Communication for Health will measurably contribute to the adoption of healthy behaviors by Ethiopians and build capacity at national, regional, and sub-regional levels. 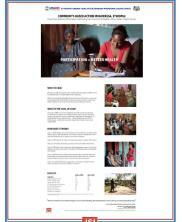 The Last 10 Kilometers project organizes community members in the Kersa Harbu Kenne kebele of Ethiopia to install electric lights in village health clinics to increase the safety of nighttime childbirth. Through the AIDSFree project, JSI provides capacity development and technical support to USAID missions, host-country governments, and HIV implementers at the local, regional, and national levels. 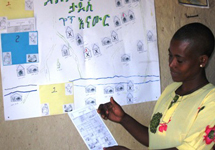 The Last Ten Kilometers project improves services in rural Ethiopia by enlisting community volunteers to map health data in their villages. 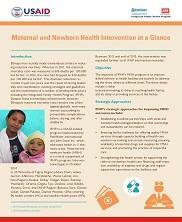 Through IFHP Plus, JSI is improving maternal and child health and increasing the availability and quality of services, products, and information, and strengthening the national health system to support local health needs. 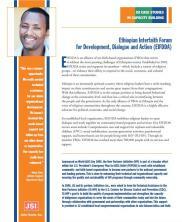 JSI's Technical Assistance to the New Partners Initiative supports a local NGO in its effort to unite religious groups in Holeta, Ethiopia around addressing health issues in their community such as sanitation, nutrition, and HIV. The Last 10 Kilometers project organizes local task forces in rural Ethiopia that work together to identify and overcome obstacles to maternal health initiatives in their communities. JSI is supporting the Ethiopian Federal Ministry of Health in operationalizing Ethiopia's national routine immunization strategy to reach all women and children with potent lifesaving vaccines. 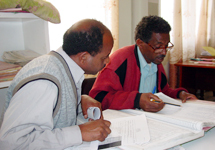 The Oromia Health Bureau in Ethiopia receives an information system overhaul from JSI's Health Management Information Systems project. JSI and its partners strengthened global procurement and distribution systems for essential HIV&AIDS medicines and supplies in over 20 countries, leading to lowered costs and better availability in some of the hardest to reach areas of the world. 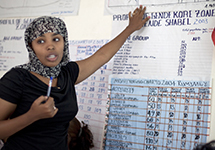 A mother in Oromia uses the training she received from the Essential Services for Health in Ethiopia (ESHE) Project to raise health and sanitation standards in her community.